This bird is about 11 inches in length, with a long tail, no crest, and is primarily blue and white in color. 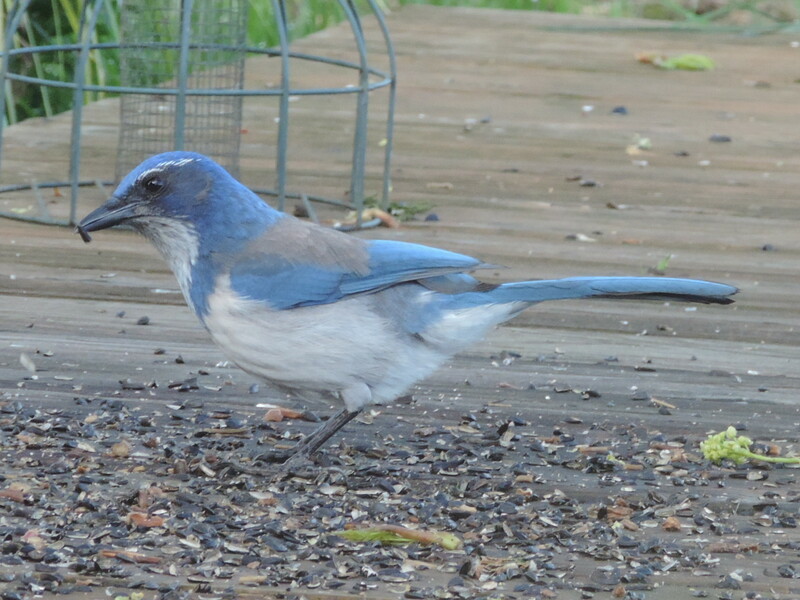 It is attracted to bird-seed feeders as shown in this photo near Amity, Oregon on April 15, 2013. Camera: Nikon Coolpix P520.